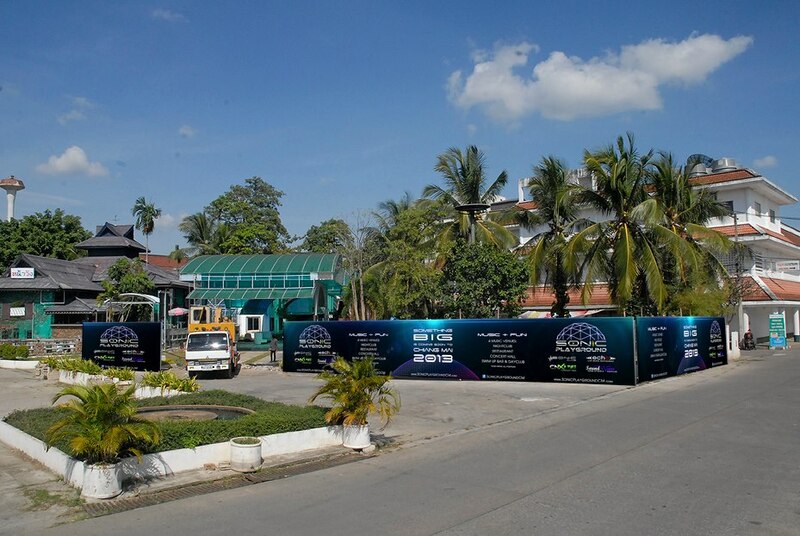 Chiang Mai nightlife scene is getting prepared for a big boost in 2013 with the opening of the first ever day club in Chiang Mai. In fact Chiang Mai isn't getting just the Day club it's also getting a whole entertainment complex to the size of 4000 square meters! This will be the biggest entertainment complex in Northern Thailand and likely the best nightclub club in Chiang Mai when it opens, Sonic Playground. You may not know what a Day Club is so quick explanation. A Day Club is similar to a nightclub but of course it's going on during the day! You are still must show ID and be of age, alcohol is served and typically a DJ playing house music or at least something electronic. There are pools surrounding the DJ and people revel in shallow pools of water. Surrounding the pools are typically lounge chairs and cabanas. 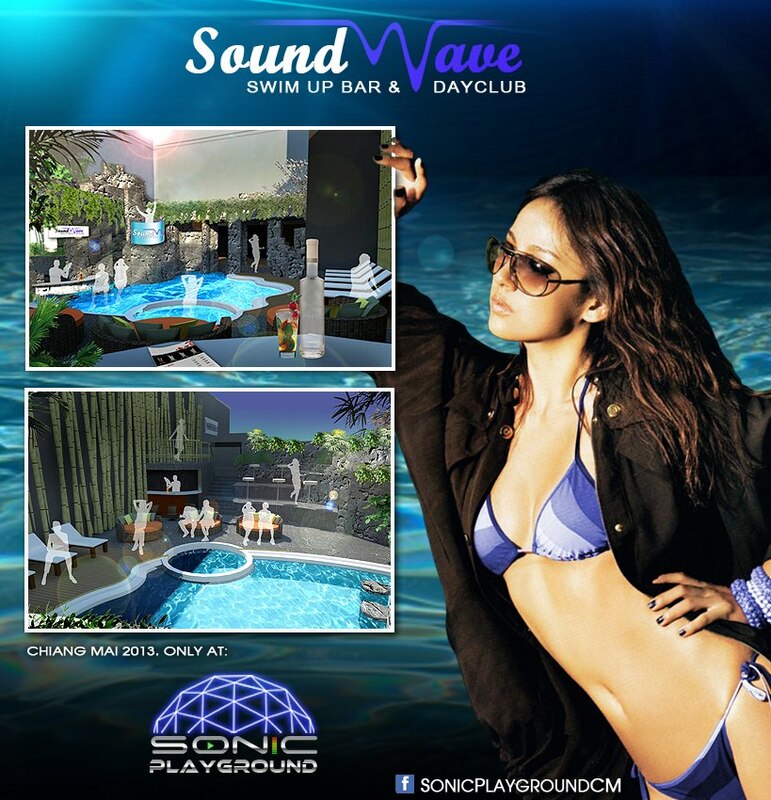 Sonic Playground in Chiang Mai will have more of a swim up bar and the pools are likely to be deeper than the ankle. Full plans of the new entertainment complex in Chiang Mai which they are calling Sonic Playground which will enevitably just be "Sonic" are still coming out but we already know they have begun construction at the Chang Puak Site and it looks big. In fact if you ever saw the ladyboy show at The Playhouse it's the same exact location, the show wasn't that great either. It's located behind the tops super market on Chang Phuak Road just look for the Mecure Hotel it's located down the Soi on your right. The good thing about this new location is it has plenty of parking which I honestly believe makes or breaks a club in Chiang Mai. According to Angel Capital Marketing the owner was raising capital and finding shareholders in the club to the tune of $350,000 USD. This kind of complex will likely cost a few million which is considerably more than any other establishment currently in Chiang Mai. Investment into Chiang Mai doesn't stop at this nightclub/day club there has been a massive investment into the city of late including a dozen shopping malls, large housing tracks on the other side of ring road. The development of some high rise residential on the ring road with that it brings quality accommodation, quality shopping and quality nightlife and who can't miss the 2 billion baht (60 million USD) convention center that will bring huge numbers of people to Chiang Mai. I'm really excited about all the development and especially for things to do during the day like the new Ice Skating Rink at the Promenade and skateboard ramps making Chiang Mai more lifestyle friendly. What is it going to cost hang out there ? is it by the hour or the visit ? Are they really just open early , say 10am-noon and stay open till 2am like the other clubs ? 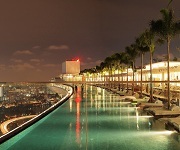 Any place like this in Bangkok ? Yes it will be open early, interesting you ask about the price because that’s a great point. Like I said I don’t know the details yet but it’s likely there will be a fee to enter and I’m hoping I’m really hoping they put some electronic way to either book tables and book cabanas online. Chiang Mai in my mind would work better for a dayclub scene than anywhere else in Thailand because of the weather conditions, I’ve never been to a dayclub in Bangkok, sounds way too hot. I’m not sure, something to look into if anyone else knows please post information. 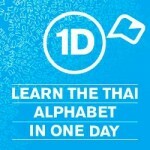 I will be in Thailand in July and August. Will they be open then in your opinion or is this a long ways off. Yeah i think they should be open by then, hope so anyway. is this place open now and have you been? Not open yet, still no idea or even if it’s going to happen, will keep you posted. 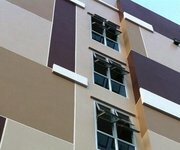 looks like they didnt’ raise the necessary funds. it’s not happening.